. كما يقدم Hughenden Boutique Hotel الكثير من الخدمات لإغناء رحلتك في سيدني. يقدم هذا الفندق العديد من الخدمات الكفيلة بإرضاء أكثر الضيوف تطلباً. في الفندق غرف نوم يتجاوز عددها 33، كلها مجهزة بعناية وجمال وبعضها مزود بـ اتصال لاسلكي بالإنترنت, غرف لغير المدخنين, مكيف هواء, تدفئة, مكتب. كما أن مجموعة الخدمات الواسعة الموجودة في الفندق لضمان راحتك تترك لك الكثير من الخيارات لقضاء وقتك أثناء فترة إقامتك. إن Hughenden Boutique Hotel هو مكان مثالي للمسافرين الذين يتطلعون إلى الراحة والاستجمام في سيدني. يُرجى ملاحظة أنه تتوافر أماكن محدودة لانتظار السيارات في موقع الفندق. وتكلفة الانتظار هي 30 دولارًا أستراليًا لليلة الواحدة. إذا كنت تريد الحصول على خدمة انتظار السيارات، يُرجى تقديم طلب ذلك في ملاحظات الحجز الخاصة بك. Reminded me of Fawklty Towers just not as funny. Great location but a bit dated. (Not a group as I was just with my mum but no other optiones were available) - A really beautiful place that I've always wanted to try! I loved hanging out in the common bar area at night doing my work and they pretty much let you stay until whenever you wanted to. The cafe is lovely and the staff were very friendly. The only downside was that the carpet might need to get redone as it was old and quite damp. The bathroom fans were also super loud and it came on when you turned the lights on, which wasn't ideal for when you needed to go to the bathroom in the middle of the night as I didn't want to wake my mum up! 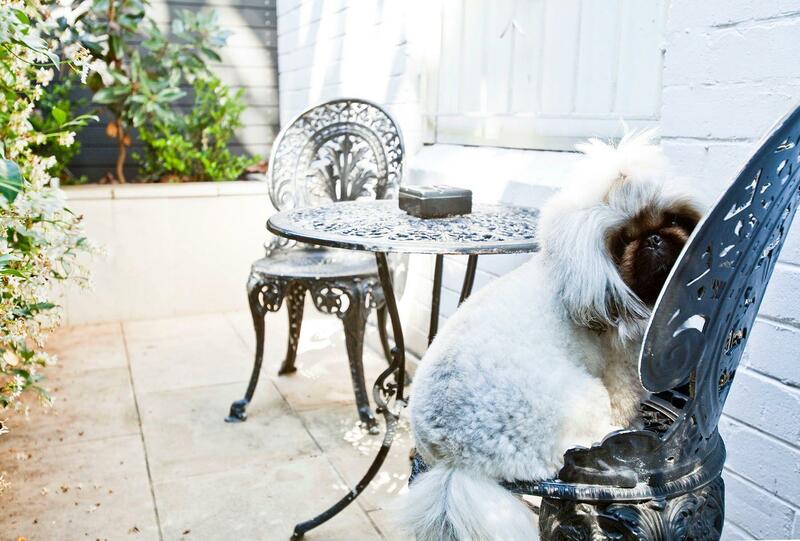 This boutique hotel is friendly and relaxed in a fantastic part of town. It’s located on a wonderful street with chic boutique shops and eateries. A large park is across the road for exercise and walks. Staff are helpful and engaging. Highly recommend! Hello Serena We are pleased to hear that you had a great experience at our hotel and We much appreciate that you took the time to write us this lovely review. Looking forward to welcome you to The Hughenden again. For the location and the attractiveness of the the hotel, this was a real bargain. The room was definately 'cosy' but just enough space for the two of us and two large bags. It was clean and functional but cold! Although the aircon unit worked as heating. We did book this room on the basis of the wifi but our room was quite far out of the main building and picked up no signal at all, which was a bit annoying. We could use it in the lounge and main hotel areas though. Breakfast was nice and simple but all we needed. Good value that it was Included. The food and wine were fantastic and the atmosphere was great. Would stay again! The Hughenden has a lovely charm. Decorated well and a great spot near Centenary Park and a short walk to shops, restaurants and cafes. Service was good. My only complaints were that the window cover was too light and with the light outside the room it was hard to sleep as the room was not dark enough. Also no iron in the room. Hello Yvette, Thank you for taking the time to review our hotel. We are glad you had a great experience and enjoyed the charm of the building. We do appreciate your feedback and we have added new blackout blinds to all our rooms now. Looking forward to welcome you to The Hughenden again. A delightful hotel. 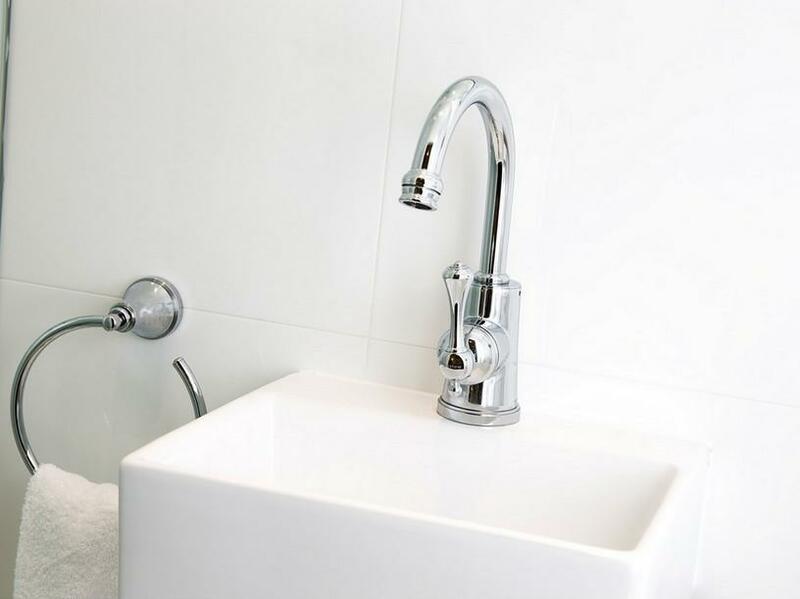 A step back in time, packed with original features tastefully restored. We stayed in a cosy room which was perfect for two. Despite being so close to the busy intersection the room was super quiet. An easy walk into Paddington and Centennial Park. I stayed in a standard room for 10 nights (room 21) and had a great time. The room (and hotel) is a bit faded but the bed was comfortable and the bathroom was small but everything worked well. The bathroom was more modern than the room. The breakfast was a good and fresh continental with more options available for a supplement. The staff was very friendly. The hotel was ideally placed between Bondi and the city by bus and I would thoroughly recommend it. frankly the room was so small 20 sqrs that you could barely swing a rat in it. the tv didn't work nor the cable tv and the bed wasnt high quality. on the positive side it was convenient. breakfast was excellent, internet was ok but limited to 750MB. water pressure was good and water was hot. overall ok only for the price tag. Lovely! Delicious buffet breakfast and great service. We were very excited to see how beautiful our bedroom was for the weekend! Very tidy apartment. Beautiful area of town. Public transport super easy to get into the CBD. Only downside to staying in Terrace Room 1 is you can hear everything on the floor above. It didn't sound like there was any sound barriers, even for bathroom use above! Perhaps street parking passes would be a good idea for guests? Otherwise you have to move your car every 2 hours to avoid a parking ticket as there aren't enough Hotel Parking spaces available for all guests. Cute boutique pleasent space. I stayed at the cheapest smallest room, and it was defenetly tiny. However, if you are just happy sleeping over and exploring the city it is good. The room and bathroom was clean, and breakfast was very nice, a nice selection of breads, savories, fruit, and the rest, and a lovely space to dine. The staff was very polite and helpfull. Lovely location, not fair from the airport by Taxi. I would definetly stay again. 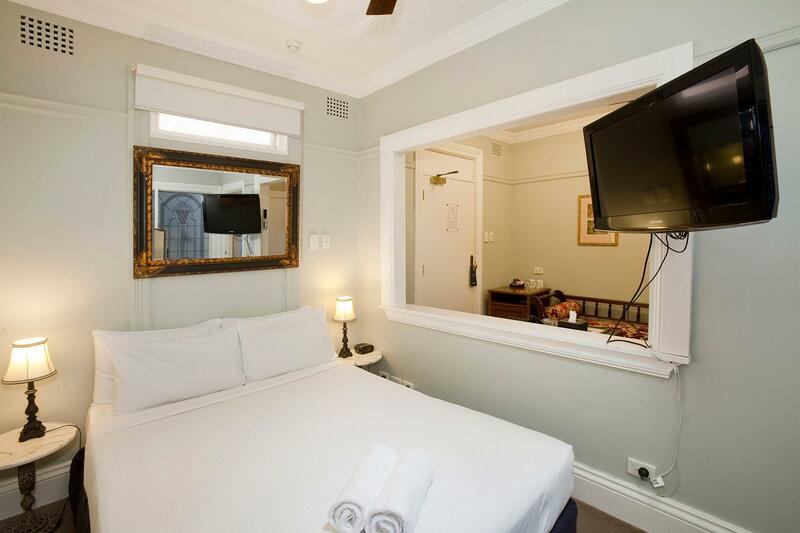 Great, the hotel was really a lovely little slice of old charm and privacy in the heart of a fantastic area in Sydney. A few steps in one direction you have vibrant Paddington with great shopping and art, a few steps in the other direction you have a the quiet village atmosphere in Woollahra. Hotel was very clean and well presented. Modern bathroom inside a heritage bedroom with a lovely sundeck to eat and read outside and enjoy Syd's perfect weather. We are regular guests of the Hotel and cannot find much fault with any of our stays. It is well priced, located in a central and beautiful part if Sydney, with great breakfast and friendly service. We will keep coming back. The Hughenden Boutique Hotel was charmingly laid out with a terrific lounge area, historic house detailing & a pleasant breakfast area. I felt the room was more "tired" than "boutique" and in need of an update. It suited me as my stay was only for 1 night, but given the rate charged I felt it was not the best value. Close to city, main attractions and restaurants/bars. It was convenient for what we wanted to do in Sydney. The breakfast was great and the staff very friendly. The room was small and the bathroom not very practical, considering it wasn't possible to get your head over the sink to wash your face. 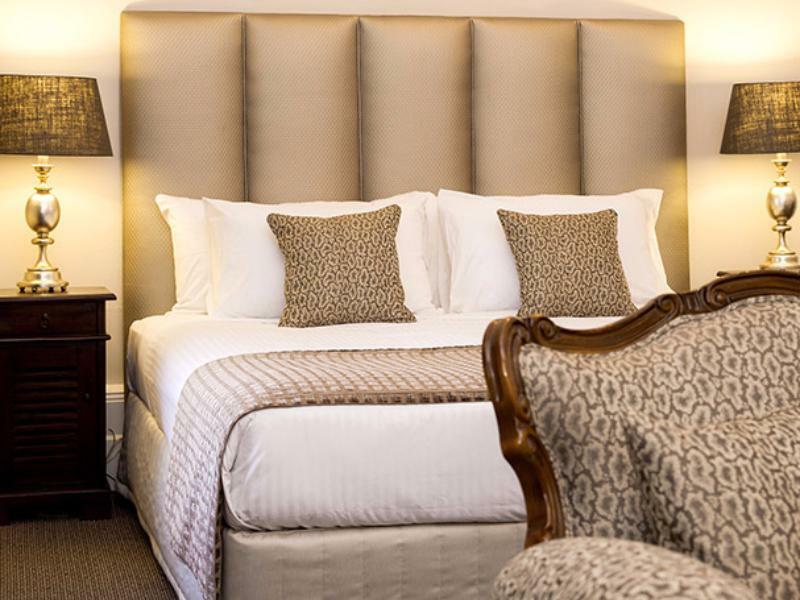 Quirky private hotel, old-fashioned building and furnishings with grace and charm. Great lounge and bar areas, comfy library and very accommodating staff. This is not a hotel for bright young things looking for noise and it is not close to night life, not that I found anyway. But if you are after respite from a noisy city, this is a haven. this is a lovely hotel in a great location. short walk to paddington area and there are nice cafes and shops on the same street as the hotel. breakfast was delicious and fresh. staff were friendly and really helpful! 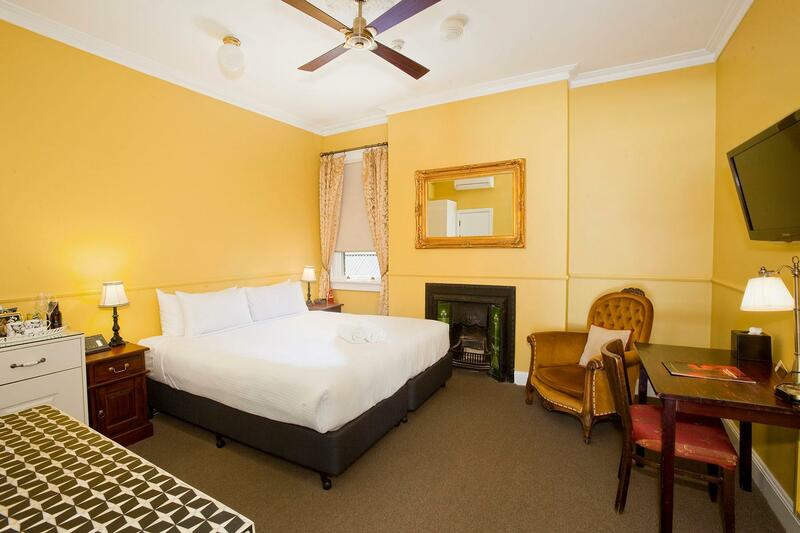 We booked a Queen Victoria room and were upgraded to King Deluxe Suite with King size bed and renovated bathroom which was away from traffic noise of Queen Street and spacious. Traffic noise can be a problem with the rooms overlooking Queen Street which can be noisy at weekends. Breakfast which is included in the tariff is very adequate with good choices The breakfast room is adjacent to the lounge area. On the morning we went down for breakfast a family with a large dog were eating breakfast in the lounge area with the dog sprawled out in the middle of the loungeroom floor. Whilst the Hughenden is dog friendly and we have never encounted a problem previously we thought this was inappropriate. We have seen small dogs here over the years we have been staying, which are never a problem. We recently had dinner in the Hughenden restaurant and would highly recommend it to guests. This is lovely characterful place to stay, an ideal antidote to chain hotels. I felt very much at home in the pleasantly rambling Victorian character of the building and the interesting things on the walls. Also liked the garden courtyard, a peaceful place to sit. 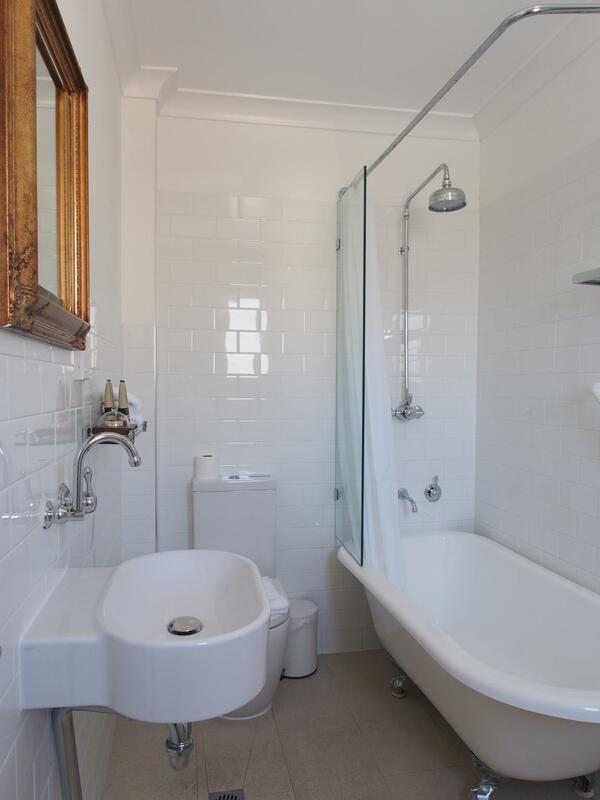 It's in a great location - lots of buses into the city and also to Bondi and Bronte beaches. Queen St is a delightful neighbourhood with one-off shops and cafes,and there are also takeaways and a decent Thai restaurant in Oxford St. Breakfast was good, different each day, and always included something hot as well as standard continental items. In the first room it was accompanied by ghastly musak though..... not so audible from the conservatory, fortunately. And on this same subject, the live 'music' on Thursday evening was so awful that we couldn't even face having a drink in the bar. That's a pity, as everything else was good, and I would certainly stay there again. Recommended.